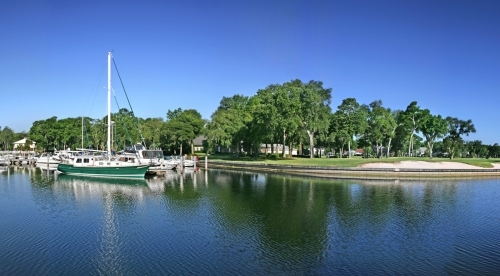 Treat dad to some time with his favorite son and daughter at the One Ocean Resort Hotel and Spa in Atlantic Beach, Florida. The Father/Son and Father/Daughter packages includes a two-night stay in an ocean-view room, daily breakfast and lunch, golf, massage treatments, and a shaving kit for the guys and a make-up bag for the girls. OneOceanResort.com, $1445. He’ll be the squeakiest clean dad with Soap-On-A-Rope and the nicest smelling too with Set Sail South Seas both from Tommy Bahama. Available at Macy’s, Soap-On-A-Rope for $16.50, Set Sail South Seas for $52.50. 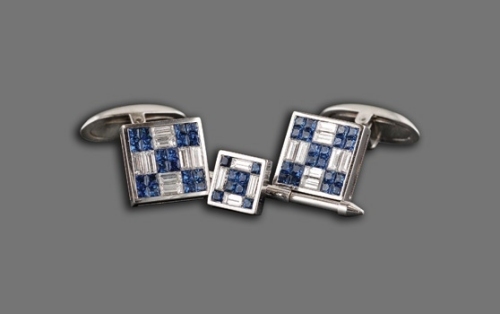 What better way to dress up that boring white shirt than with Sasha Primak cufflinks. These diamond and blue sapphire studs will be sure to get him noticed. 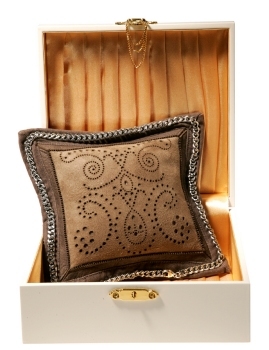 SashaPrimak.com, $1695. Sachets for men? Yes and they’ll never see it coming. Gold’n Dulcinea has the Third Sharp Dressed Man sachet, which is scented with worn leather, sensuous amber, west Indian tamarind and cardamom, and is made of grey suede and brown leather, and finished with a silver chain. GoldnDulcinea.com, $180. 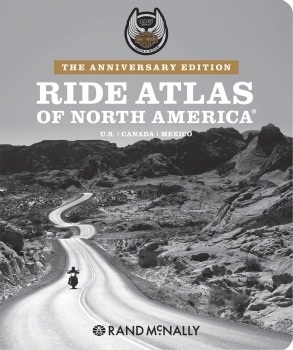 Give that Harley lover Rand McNally’s new anniversary edition Harley-Davidson Ride Atlas of North America. This latest guide includes 25 new routes with trip details and an inset map that marks each route. Available at bookstores, $34.95. A watch like no other, Bellum Classics recycles obscure vintage timepieces from World War II era military watches to highly exclusive gold and platinum watches from today’s most prestigious watchmakers such as Rolex and Omega. Rolex Oyster Perpetual Circa 1970’s, BellumConcepts.net, $4800. New dads need to take care of the baby too and instead of toting around her diaper bag, he can have his very own! Brad Pitt and Matt Damon show off their Storksak bag when they’re out and about with the kids. The Jamie bag is perfect for the professional dad while the sporty heavy cotton canvas Red Label Alex bag is great for the practical dad. Both bags include a padded changing mat, dual side zip thermo insulated pockets to keep liquids hot or cold for up to 4 hours, front and back compartments for the baby, and for him it has a cell phone holder, key ring clip, and an internal mesh pocket for valuables with a large main compartment that fits most laptops. Enter FORDAD08 and get 25% off until June 8th. 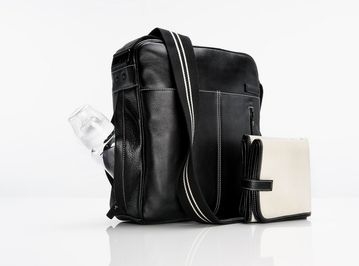 Storksak.com, Jamie bag for $210, Red Label Alex bag for $145.00. 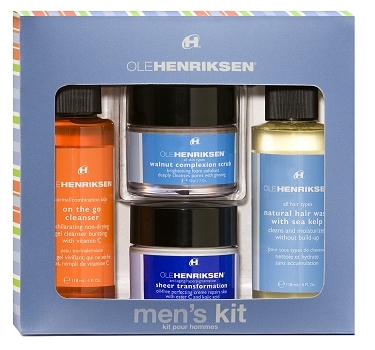 If he’s the jet-setting type, get him Ole Henriksen’s Men’s Kit, which includes travel sizes of their most popular products such as the Walnut Complexion Scrub, Natural Hair Wash and Bursting with Vitamin C. Sephora.com, $70.